CherryActive products are exactly that – 100% concentrated Montmorency cherries for health conscious and active consumers. Each 30ml serving has the antioxidant equivalent of 23 fruit and vegetables. You can dilute a 30ml serving in 250ml of fresh water or add it to natural yoghurt and smoothies to enjoy the refreshing taste of pure, tart cherries. There are no added preservatives, flavourings, colourings, sweeteners or sugars. Kept in the fridge, your CherryActive concentrate will last for up to 12 months. Endorsed by Mark Allison AKA Run Geordie Run who describes it as ‘a fantastic recovery product’, CherryActive concentrate can help you too stay at the top of your game. The CherryActive Concentrate - 473ml product ethics are indicated below. To learn more about these product ethics and to see related products, follow the links below. A nice healthy addition to my drinks cupboard. I have this every day in my smoothies, to help control my leg spasms. I think it helps them and wouldn't be without it anymore. Buy all the time and will continue to do! 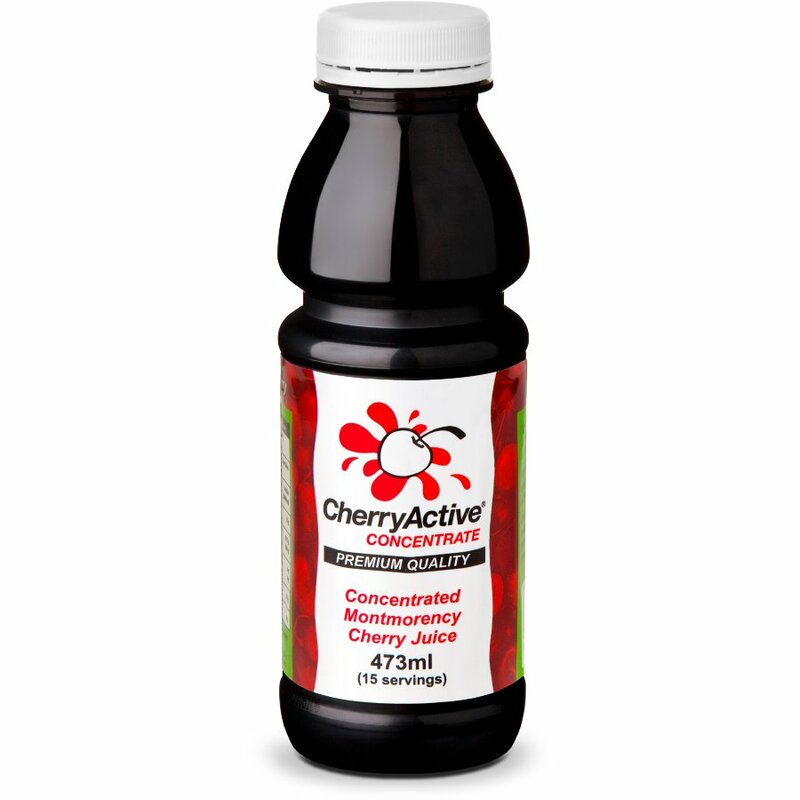 There are currently no questions to display about CherryActive Concentrate - 473ml.